A PRIME private residential site in the mature Queenstown estate has attracted nine bids from developers – with the best offer well above expected levels. The top bid of $483.2 million, from Chinese firm HY Realty, was 8 per cent higher than second- placed Allgreen Properties. HY Realty’s bid translates to $871.10 per sq ft per plot ratio (psf ppr) for the 1.05ha parcel – higher than the expected top bid range of $750 psf ppr to $820 psf ppr. R’ST Research director Ong Kah Seng said the winning margin is less than 10 per cent, “so it means the top two bids are similarly interested in the plot”. The Dundee Road plot was launched on April 29, with the tender closing yesterday. Experts had expected five to 10 bids. But JLL head of research and consultancy Chua Yang Liang noted that this plot had the fewest bidders for a residential site in what is known as the “rest of central region” since the third quarter of last year – when a Sims Drive site had only four bidders. 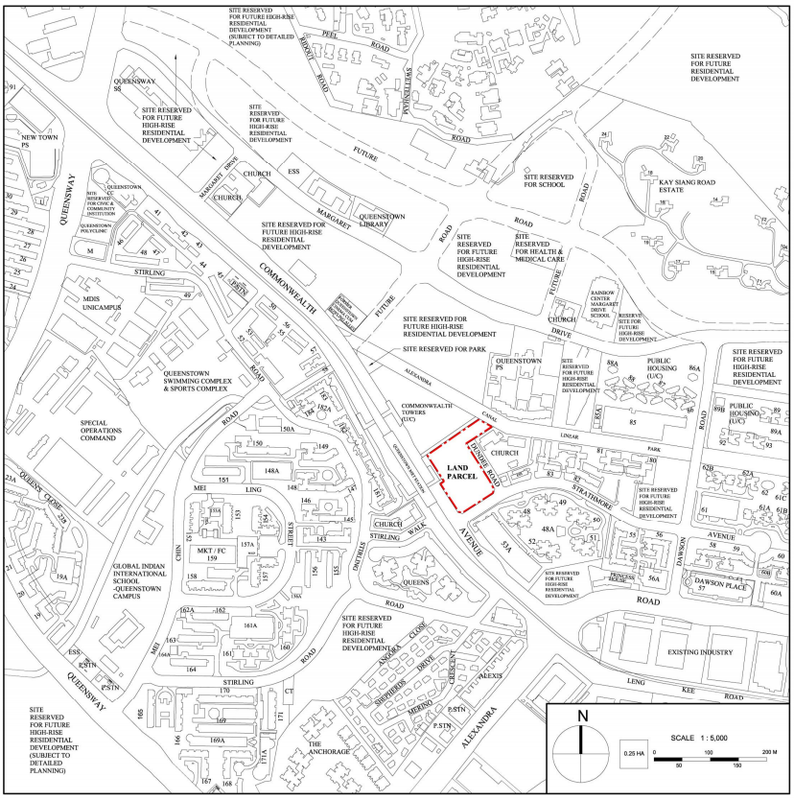 “This suggests a weaker interest, compared with the 14 bidders for the site in Lorong 6 Toa Payoh which closed just last week,” he said, referring to a 1.22ha plot not far from Braddell MRT station. Rodyk & Davidson partner Lee Liat Yeang said it was a bullish bid by HY Realty, possibly owing to the close distance to the MRT station. He added that developers are probably concerned with the abundant supply of new units in the Alexandra and Queenstown area. The Dundee Road site, set to yield about 645 homes, was offered for sale on a 99-year lease. Mr Sim said that with the total debt servicing ratio – a tougher mortgage rule – approaching its second year since implementation on June 29, “bidders for this site have the advantage of being able to punt on a possible review of the property measures”. A spokesman for HY Realty said it is not a unit of Chinese developer Hao Yuan as was reported, but it has the same shareholders as Singapore-based Hao Yuan Investment, which is controlled by mainland shareholders. He said HY Realty has plans to build a 700-unit condominium on the site, expected to be launched in the first quarter of next year. Register for the latest information on Queens Peak by filling up your details below!